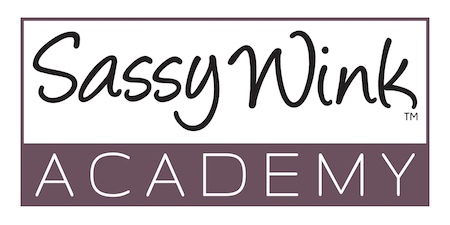 Sassy Wink Academy has created a comprehensive curriculum and cutting edge platform to deliver Microblading training techniques in the most duplicable way. When you study with Sassy Wink Academy, you will shorten your learning curve and have unmatched mentoring support dedicated to your progress and continued success! Amber Arrington is the LEAD trainer of Sassy Wink Academy, with over 15 years experience as a licensed esthetician and make up artist. Amber has practiced in the art of Professional Eyelash Extensions for over 5 years and is the Founder of NEESA, The National Eyelash Education and Safety Association. Since starting NEESA in 2013, Amber has become recognized worldwide as a leader in the eyelash industry. Amber is the Co-Founder of Lash Wars, which debuted in 2014 as the first open call, non-brand specific eyelash extension competition in North America and she was a featured judge in the Novalash “Lash Off” competition in 2016. A leading educator in the lash and brow industry, Amber has taught courses within the International Beauty Show (IBS) in New York and Las Vegas. She works as a consultant developing lash and brow brands for a leading international beauty company. In addition, Amber is the owner of a lash and brow studio and training academy, Sassy Wink. Amber discovered Microblading (aka microstroking, eyebrow embroidery, 3D brows, 6D brows, floating brow and many other names) in 2013 and instantly fell in love with the technique! She quickly knew this was her calling, and hasn’t stopped pursuing education on this amazing style of permanent makeup for brows. Amber has trained with some of the foremost experts in the industry and is raising the standard for Microblading training worldwide. Stefan is a full-time business coach and international speaker. With previous experience growing and managed multi-million dollar spas, he was a perfect addition to the Sassy Wink Academy team. His former book of business totals over $2.5 million in direct sales revenue as a General Manager and experience managing over $10 million in marketing spend across all channels, which generated a return of over $50 million in revenue. You are not likely to find someone more committed to helping business owners than Stefan. It only takes a brief conversation to feel his passion for people as well as understand why he has a proven ability to grow businesses and inspire people all around the world. He has a double B.B.A in Management, and Marketing and oversees growth strategy with multiple clients. Stefan leads our Beauty Business courses and coaches select students on how they can take their business to new heights. Justin is an expert in customer service and team management with over 20 years experience in sales specializing in the field of higher education. Armed with his Masters in Business Administration and a plethora of awards for outstanding management and sales performance, Justin’s background has enabled him to become a leader and innovator in the corporate training sphere. He has helped to match and enroll hundreds if not thousands of students in vocational specialties and will be your first point of contact. Additionally, Justin will help to answer any questions you may have and if appropriate, will also advise you on the enrollment process with Sassy Wink Academy.